Food can conjure up all kinds of warm and fuzzy feelings—childhood nostalgia, memories of road trips, or just the simple comfort of a nourishing cup of soup. For restaurants, though, conveying a sense of love could be as simple as picking a different menu font. A recent study found that when restaurant diners read menus with healthy food options printed in a typeface that appears handwritten, they were more likely to believe that the food was better for their bodies, made of better ingredients, and prepared with more care than similar items printed in machine-style fonts. The team’s findings were published Feb. 10 in the Journal of Business Research. The researchers conducted online surveys and found that the positive-response phenomenon occurred only when customers perceived the restaurant or menu items as healthy or locally grown—when the restaurant’s brand was health-focused. “This wouldn’t apply to a fast-food brand that sells low-quality hamburgers,” Liu said. But a font that appeared handwritten, even if it had been produced by a computer and not actually written by hand, triggered the perception that extra love and care are imbued in the restaurant’s offerings. Liu has a theory about why this might be: The world is growing ever-more automated and ever-more mechanized. Technology can put distance between humans and occasionally remove the warmth that comes with human touch. Handwriting can convey that warmth, because it requires more effort than typewritten font. A handwritten note, for example, is more personal than one typed on a computer. A typeface that appears handwritten, with imperfect curves and slants and organic strokes, conveys a deeper sense of emotional connection than machine-written typeface, which is typically squared, straight and uniform. 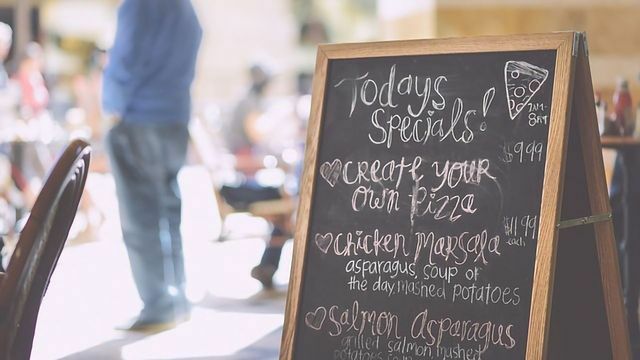 Handwritten typeface might also help solo diners feel slightly less lonely, the researchers found, creating a sense of warmth and connection with the restaurant that could inspire those customers to return. The researchers found that when customers believed the menu contained “love,” those customers were more likely to interact with the restaurant’s brand on social media, Liu said.